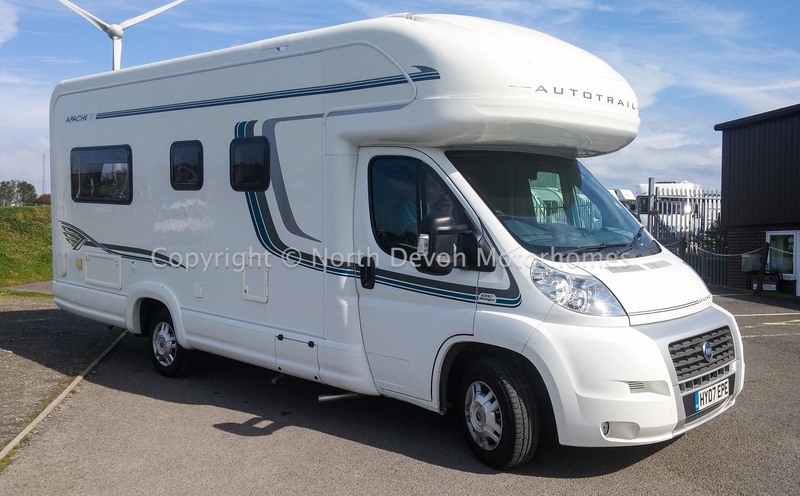 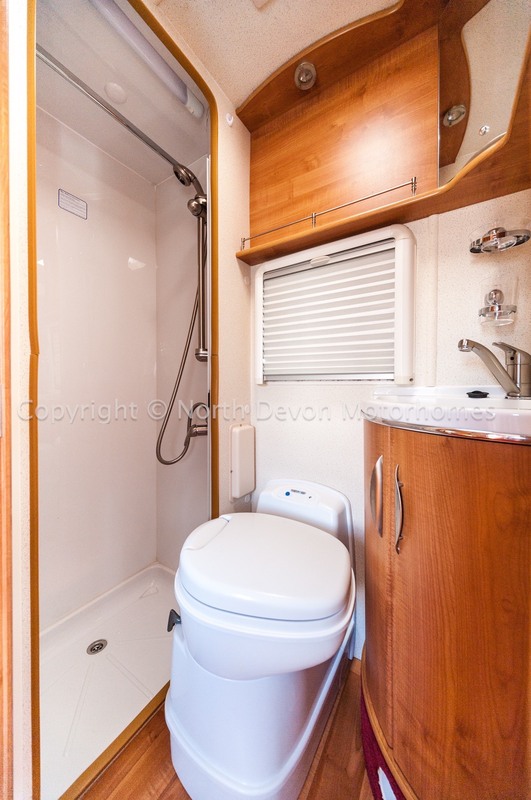 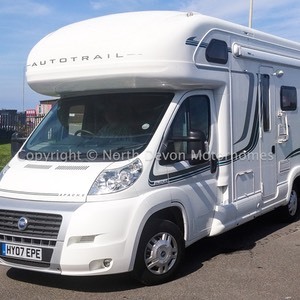 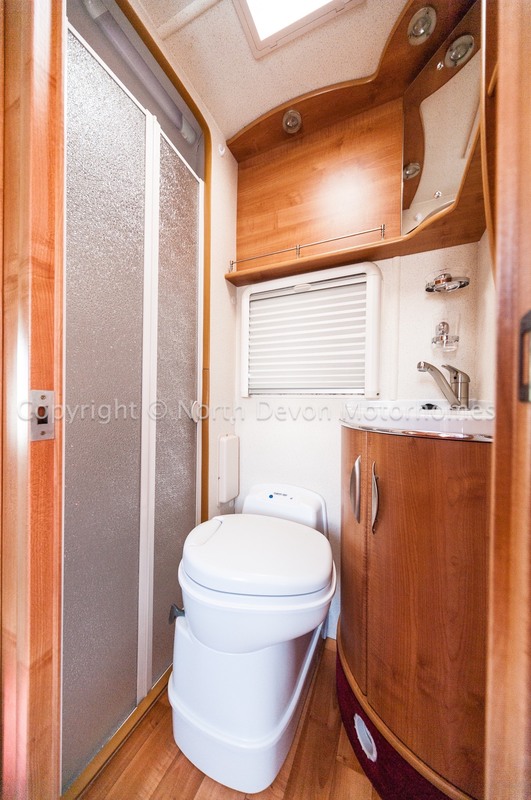 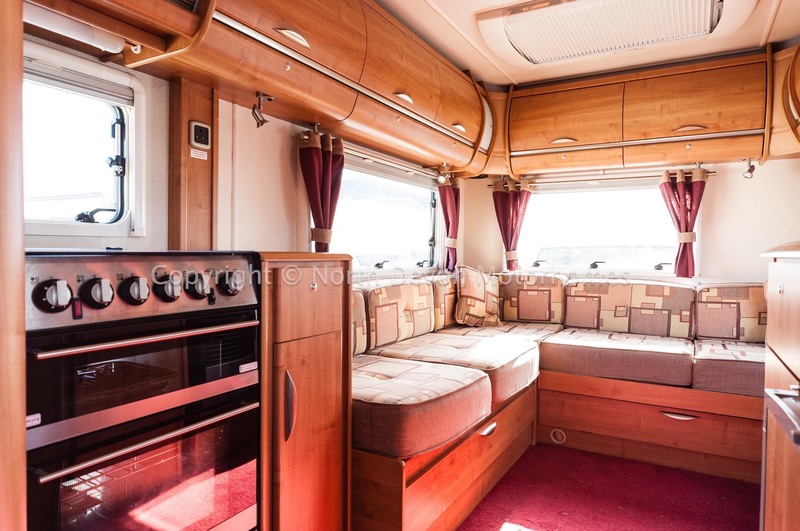 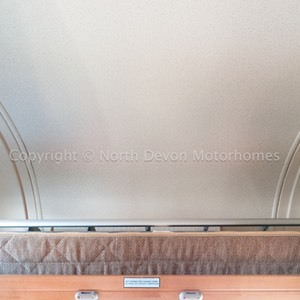 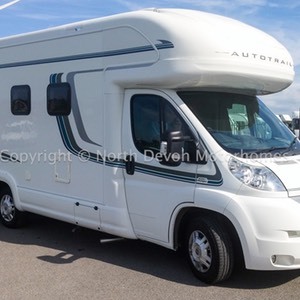 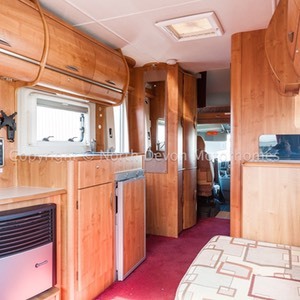 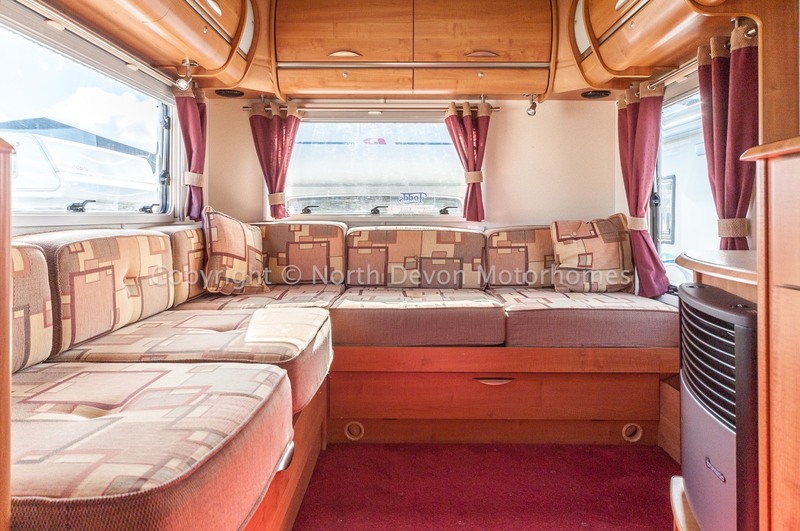 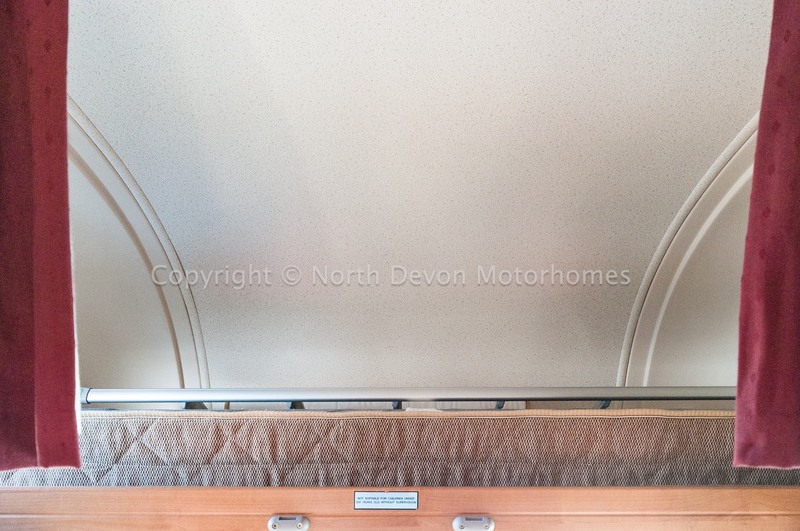 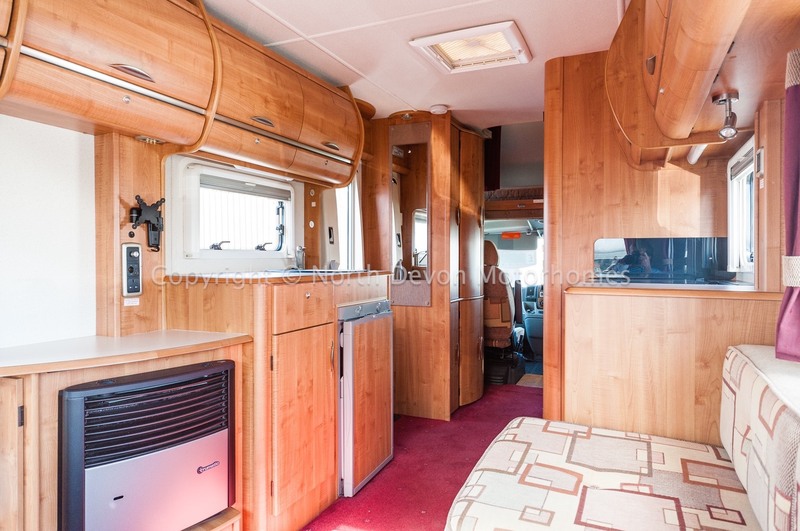 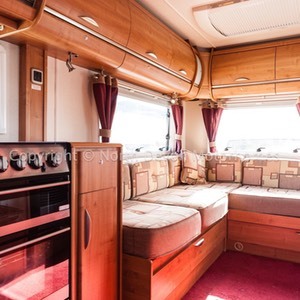 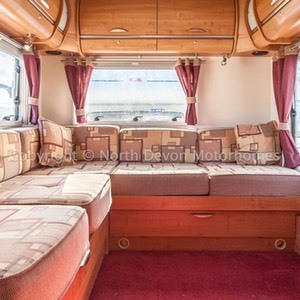 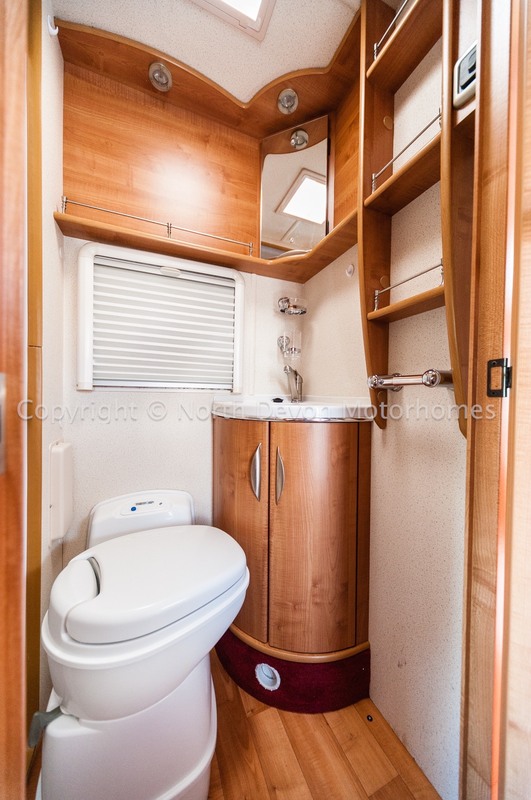 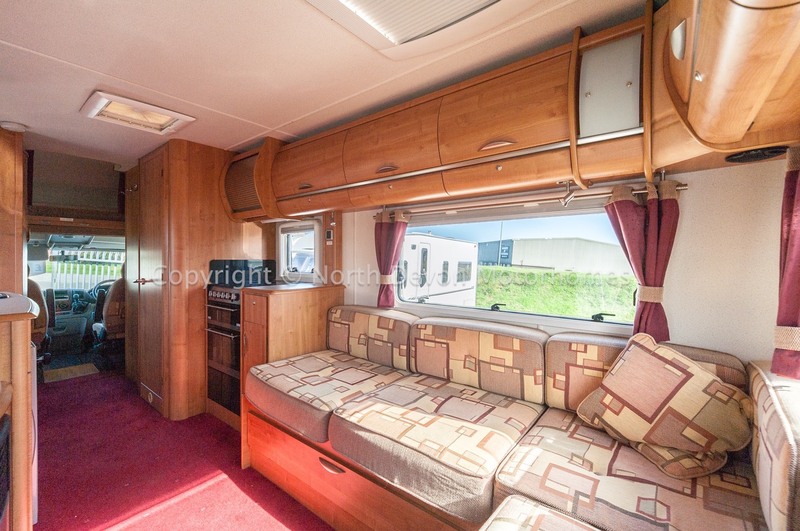 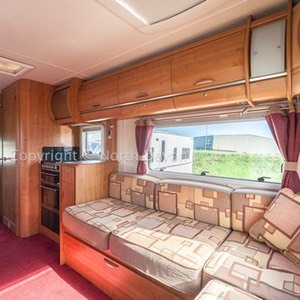 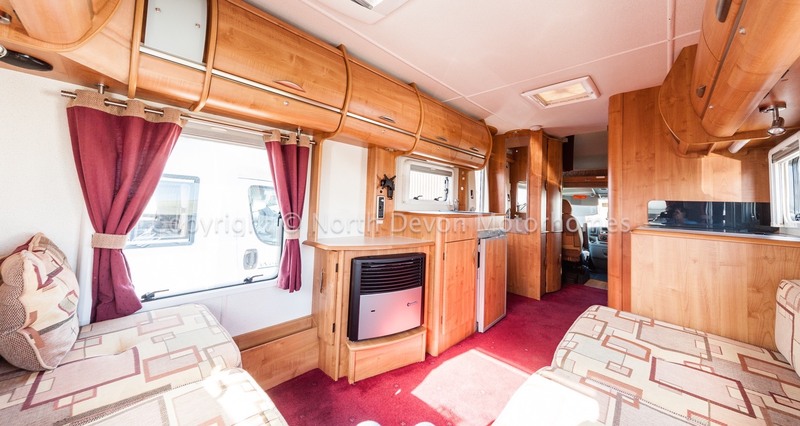 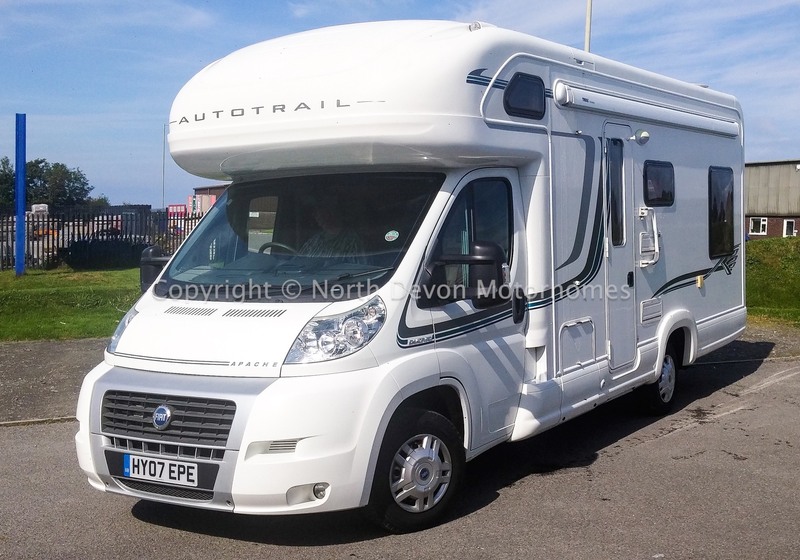 An extremely nice example built by reputable company Auto-Trail, 4 Berth coach built, with its favoured rear L shaped rear lounge, gives a vibrant bright and airy feel. 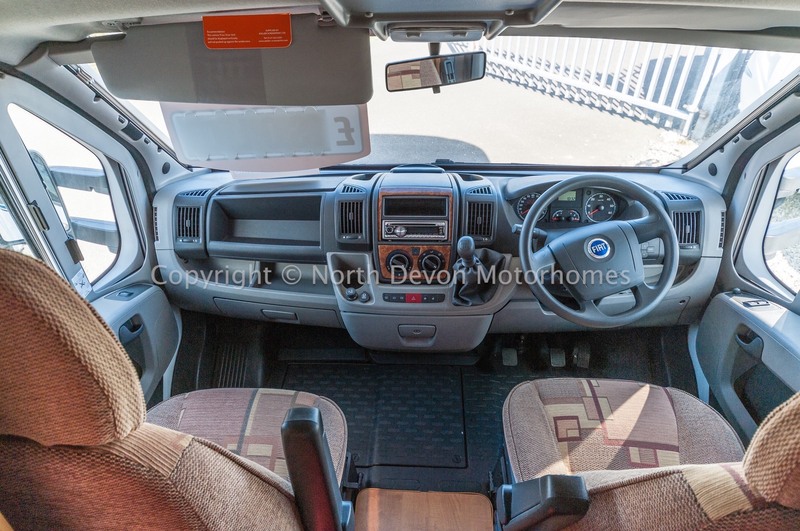 The modern Fiat 2.3 130 Multijet Euro 4 engine with its 6 speed gearbox is LEZ compliant and a real pleasure to drive. 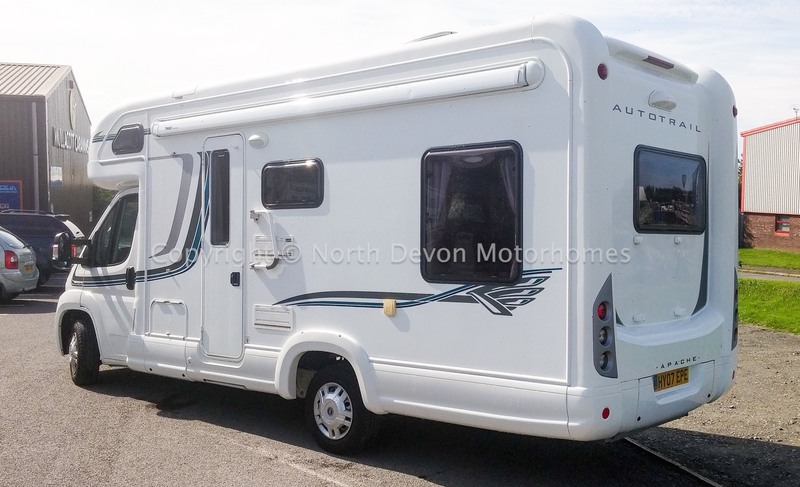 If the above is the layout and brand that you’ve been waiting for, then this vehicle is realistically priced, and maybe just for you! 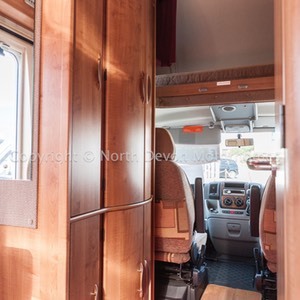 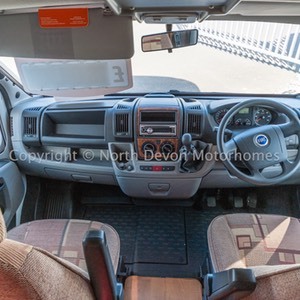 Power assisted steering, Electric windows, Electric mirrors, Stereo Radio/CD Player, Swivel Captains Seats, Cab aircon. 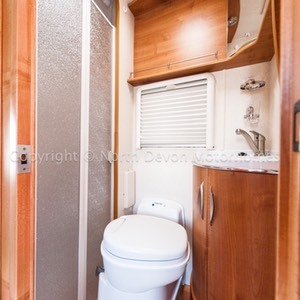 Favoured end L shaped lounge, Centre kitchen, Forward washroom with separate shower and wardrobe. 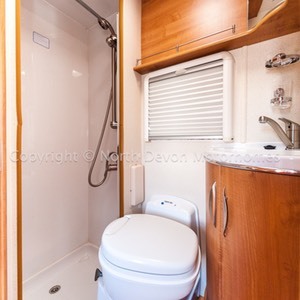 Swivel based cassette toilet, separate shower, corner moulded sink with built in storage, mirror over sink, 12v lighting, skylight vent, window with net and blinds. 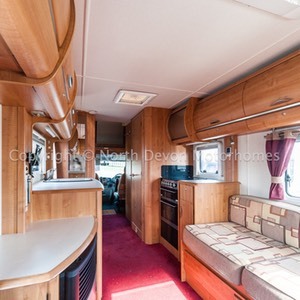 4 burner hob one of which is electric, light over hob, oven with separate grill, sink plus chopping board, 3 way fridge, plenty of low and high level storage, microwave cupboard, built in ceiling fan/extractor. 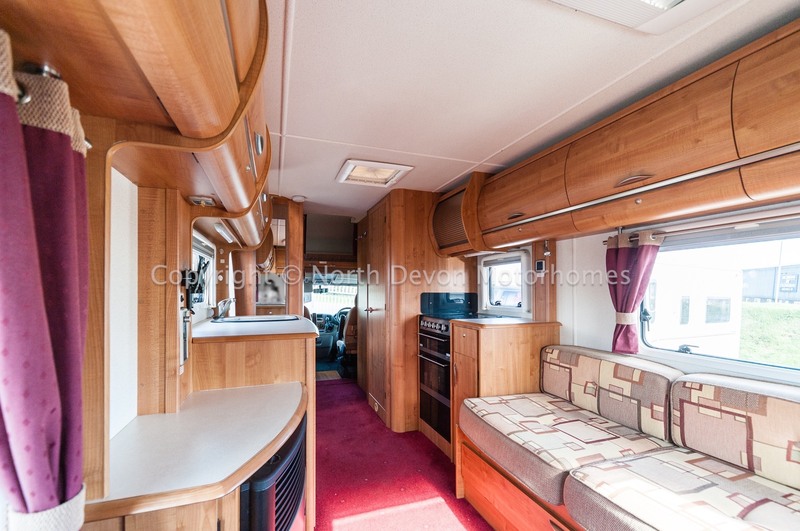 3 large windows along with a large Heiki roof light together providing ample natural light in this lovely open L shaped lounge. 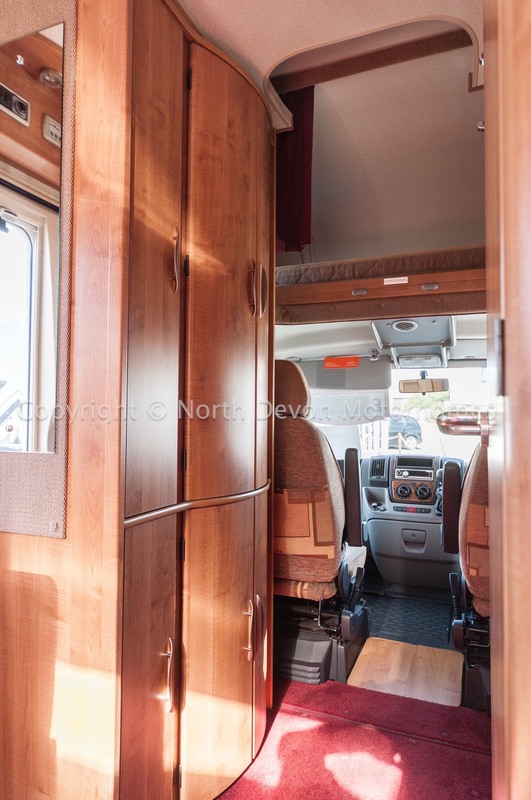 Television station. 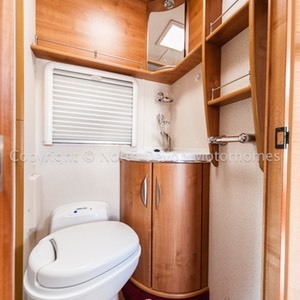 Truma Ultrastore hot water boiler running on gas and electric, Truma Ultra heat hot blown air heating Gas and 240V. 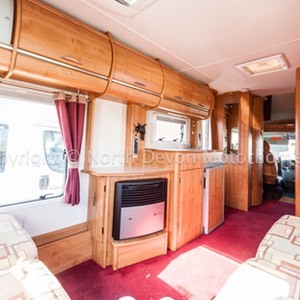 4 Berth, double over cab, lounge can convert to another double bed. 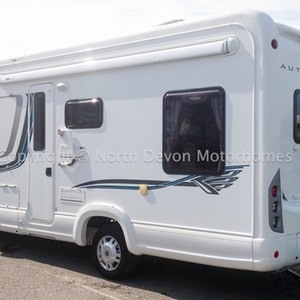 Awning, Electric step, groundsheet, levelling chocks, 240V hook up lead.